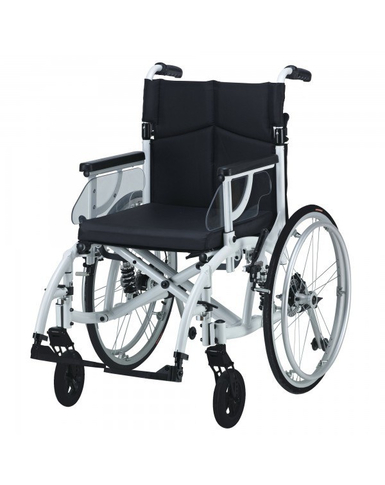 Deluxe Suspension Wheelchair – Odyssey, with painted aluminium frame and a double cross brace, designed for both portability and stability. 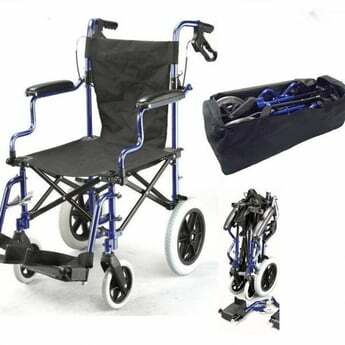 The seat and backrest have been made from fireproof and waterproof nylon and the armrests are fully adjustable and detachable and they come with PU armrest pads for added comfort. 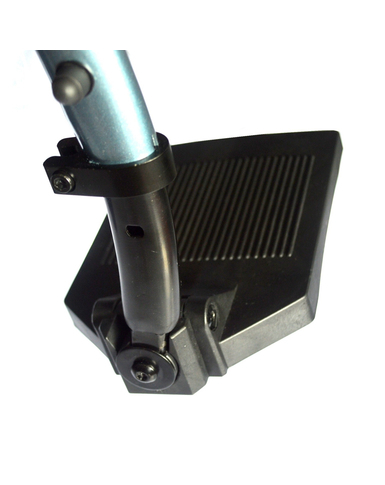 The footrests are also fully detachable. 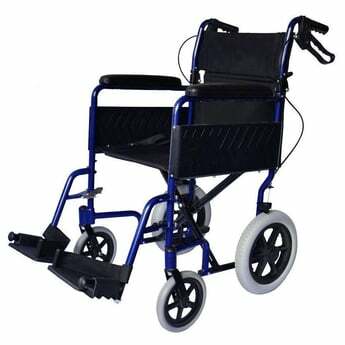 The front wheels are made from 7″ x 1.25″ PU, whilst the back tires have a dimension of 24″. 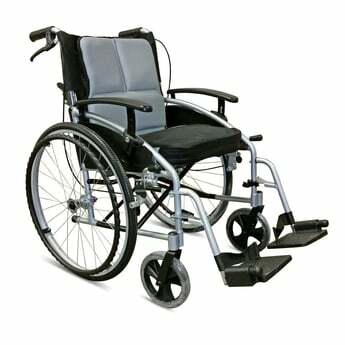 The chair comes with a padded seat cushion for extra comfort, front wheel suspension, full rear wheelchair suspension sytem and luxurious anti-tippers. 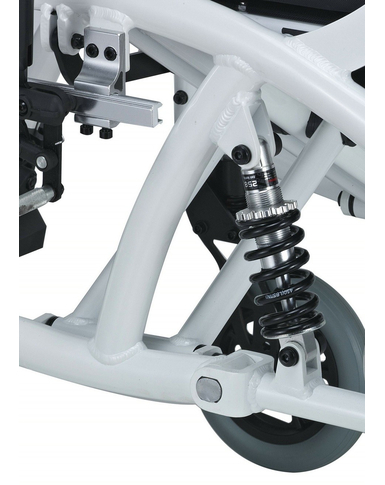 Full front and rear suspension. 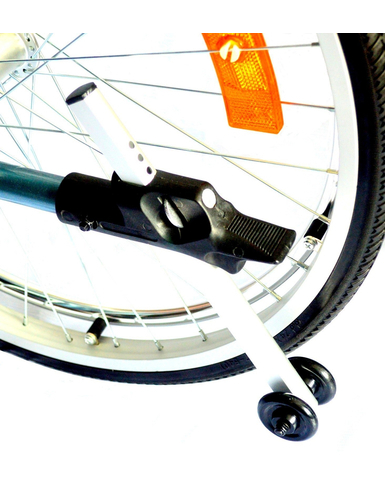 The rear suspension can be adjusted for different terrain or users. Double cross brace under the seat for extra strength and stability. 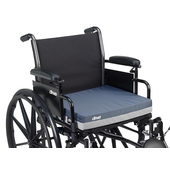 Waterproof and fireproof nylon backrest and seat canvas. 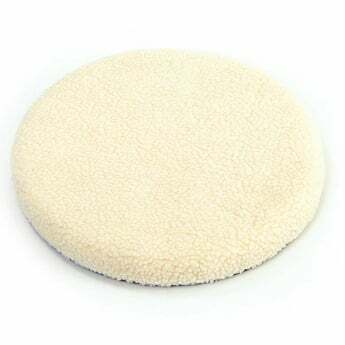 Deluxe seat cushion. Stylish curved frame. 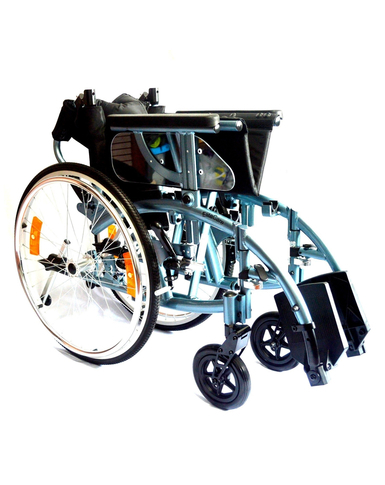 Luxuriously finished in metallic liquid paint in Ice white or Lightening blue. 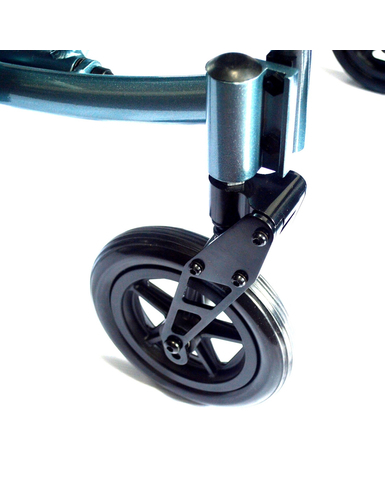 7″ front solid PU castors with black tyres. 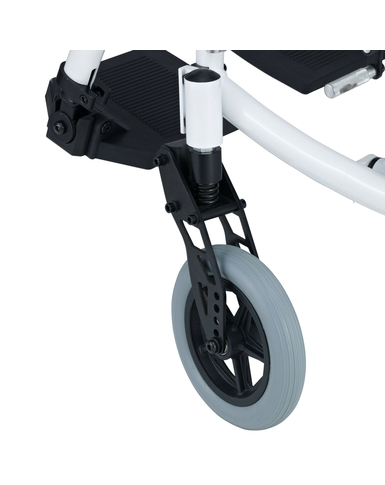 Quick release rear wheels making the wheelchair lighter and easier to fit in a car boot. 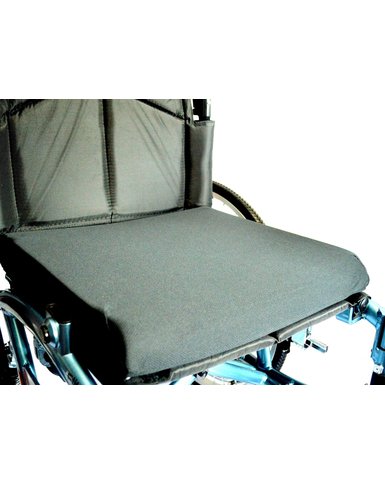 Fold down backrest to make it compact for transporting. 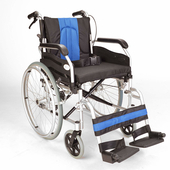 Backrest angle can be adjusted and the whole backrest also moved back to increase seat depth. Anti tipper wheels on the back for added safety.